It's almost April and NJCAA teams are truly starting to find their identities for 2018. Out of all the levels in college lacrosse, NJCAA teams (and their coaches) face a unique annual challenge, and it just might be the hardest thing to do in all of college lacrosse – be good each year, but also run a program that shows consistent success year over year. Sure, other levels of college lacrosse (like NCAA D1) are incredibly competitive and well funded, and others (D3) are incredibly large, but the only place you’ll see a top level team in 2018 where 50% of the players (or more) are new to the program from 2017 is in the Junior College ranks. And you won’t see this occasionally, you will see it every single year, with almost every single NJCAA team. If an NJCAA team has 45% of their rostered players returning from the year before, that’s actually great news. If those guys also played big roles in games? Even better! At no other level is that even close to a reality for anyone other than a start up program. Teams don’t lose more than half their players very often at any other level of college lacrosse, and quite frankly, it makes what consistent programs do in the NJCAA even more impressive, because they do so each and every year. For most college coaches, they bring their freshmen along slowly. Unless the kid is an absolute stud he probably won’t see the field. Sophomores start to get more looks as they are beginning to really understand the program values and how things work, at least on average. Juniors and Seniors have earned trust and playing time, and will occupy most of the important roles for an established program. Or they will doomed to the bench for the rest of their journey. Either way, this approach allows for a lot of consistency, teaching, and development – not only of individual players, but how those individuals fit into the larger team structure. Now imagine the most experienced players on your roster are those same sophomores. They get it after a full year of being inside the program, but “getting it” isn’t enough, because these guys need to be leaders in this scenario. They need to buy in, and that doesn’t always happen in a player’s first year. Then you have freshmen, many of whom have only played high school lacrosse. At the higher levels of the NJCAA, it’s typically a good jump in talent, skill, speed, and scheme – but there is no year of “prep” or simply learning the ropes here. Even the best teams need freshmen to contribute right away. When you add in that some players are mid-year transfers, and that fall ball might be a different group than what you see in the spring, and the whole idea of a “program” can start to change. The challenge in finding consistency can be immense. All of the above is really just a preface to demonstrate why it’s so impressive that some NJCAA teams are already showing signs of fluidity and chemistry, and it’s not even April. I often find that NJCAA teams in May do not even resemble what they were in March, and while the best teams might start strong, they also focus heavily on building up to something better as the season goes on. 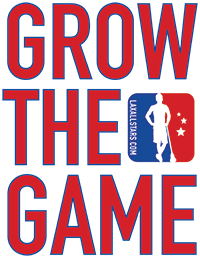 Every team, at every level, aims to do improve during the season, but nowhere is this more apparent than in Junior College lacrosse. So who is looking good right now? Which NJCAA teams have found, or seem to be finding their groove? Let’s break down the NJCAA teams into some tiers, and talk about everybody, at least a little bit. Where I can, I will call out a particular ranking for teams. In other places I will group teams together in a Tier. Teams in the same Tier are more or less even in my eyes, at least for now. Top Dog – #1 Onondaga (5-0) – For 2018, I almost put Nassau in here with Onondaga as both teams are undefeated and looking better and better as the games progress, but when I remember everything I wrote above, it would seem unwise to disregard Onondaga’s program history over the last 16 years with Chuck Wilbur at the helm. What this program has done in that span is just incredible, and it speaks to consistency at an incredibly high level. Entering 2018, OCC has compiled a 251-15 record, winning 16 consecutive Mid-State Athletic Conference Championships, 13 consecutive NJCAA Region III Championships, 10 NJCAA National Championships, and won 107 straight games at one point. Now, to be fair to everyone else, OCC has had two relatively tight games this year with Anne Arundel (14-7) and Genesee (14-10), but wins are wins and OCC did beat Essex 32-5, so I think the potential is definitely there again this year for a monster to emerge in May. Next Guys Up – #2 Nassau (6-0) – I love the history at Nassau, one of my former HS players is on the team, and their coach used to coach in the PSAL (NYC high school league). John Savage is the man, and I love what he’s doing with this program. Finding a groove took a little time, but last year Nassau was right there at the end, knocking on the door, and this year, I think they actually look like they are a little further along, a little earlier in the season. If this is true, it’s a good thing because Coach Savage has shown an ability to take at least one team (2017) to new heights during a season. If the 2018 group can do this as well, Nassau could be making a move to re-assert themselves as the favorites in NJCAA play. Other programs are making big strides, but Nassau was starting from a good place, and it looks like it’s only getting better. 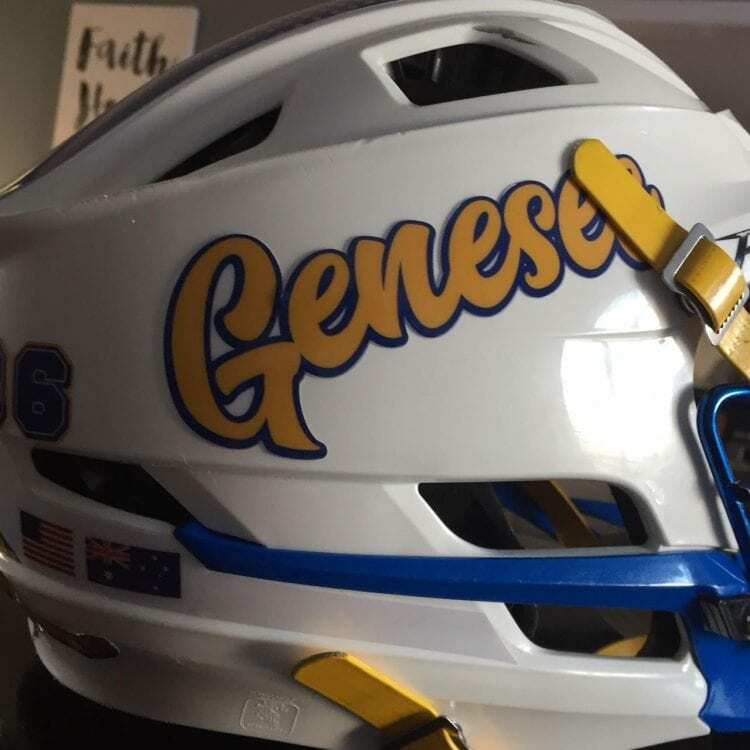 Recent wins over Genesee (13-6) and Harford (14-3) show that Nassau can control a game against a quality opponent, but make no mistake about it, there is still plenty of work to be done. My guess is every guy out on the Island knows this. Third Is Still Good – #3 Howard – I did NOT look at Nassau’s 9-8 road win over Howard to open both team’s seasons as the deciding factor that NCC was #2 and Howard was #3. Sure, it figures in, but what figures in more for me is that Nassau looks a little more tested right now, while Howard is showing it can blow out teams that are not on its level. This isn’t a knock on those scores, or those teams, it’s just reality. Howard is REALLY good again. I simply have more questions right now about Howard than I do about Nassau, and I know that April will begin to answer them. Howard’s next four games are against Anne Arundel, Genesee, Harford, and Essex, so I’m waiting to see how those play out before I move Howard up to the ranks of VP. Howard is averaging 23 goals per game right now, even with the early 9-8 loss so… yeah. Watch out. The First Tier, or Fourth Tier, or Something (#4-#6) – Genesee, Anne Arundel, Harford – This is the first group of teams I’m putting in the same Tier, but it’s also the 4th group. The other 3 groups just had one team in them. Does that make them groups? Anyway, I like all three of these teams. Each seems to have the potential to be something much better than they are now (remember that is the goal!). For example, I really like how Genesee has kept games close so far. Coach Hoover’s squad did a similar thing when they won their national title in 2016. It doesn’t mean they’ll do it again, but it doesn’t mean they won’t not do it again. Was that right? The point is they could do it again. That’s one of the most “just saying” arguments I’ve ever made, but my gut says Genesee can be really good in May, and those close scores make me feel pretty good about it. A big test with high flying Howard on April 8th will let me know how finely my radar is tuned. Anne Arundel has shown a similar ability to keep “reach” games close, or win games big, or win them a little tighter like they did over Essex (11-8) recently. I like what Coach Stanilaus is doing with that program, but this is definitely a case of needs to improve as April and even May roll into view. The window for big jumps starts to close, especially as Howard and Harford both loom before April even begins. These games are really big for Anne Arundel. Howard is a “must compete” game, and Harford is really a “must win”. Speaking of Harford, they are only just approaching the meat of their schedule. 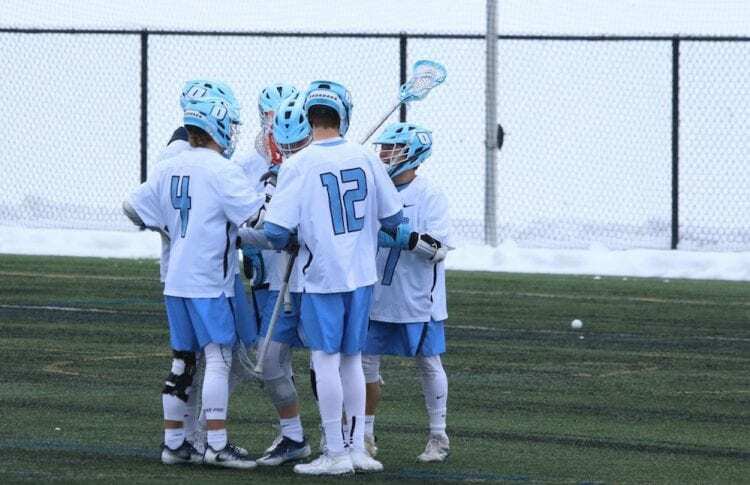 The big recent loss to Nassau (14-3) should propel this group forward, but they will need to fight and improve if they want to emerge at the end against the likes of Anne Arundel, Essex, Howard, Onondaga, and Suffolk. 22 big days coud make or break the Harford 2018 season. Which of these three is most likely to cement themselves at the #4 team? Get back to me in mid-April. That’s why I have them in this tier! The Next Tier (#7 – #10) – Suffolk, Monroe, Delaware Tech, Essex – All four of these teams seem like the most likely contenders to press on into higher territory in the polls. Suffolk is 4-0, plays Nassau soon in what should be a huge test, and then plays 3 must win games. Games with Delaware Tech and Harford to close out the regular season will tell us more, but I feel like Suffolk is sort of an enigma right now. Monroe can clearly score goals, and it looks like their defense is coming together too. If the Tribunes are as good as advertised they will be 7-1 when they face Onondaga, and while stringing together wins over teams you should beat is a good marker for success and improvement, it’s harder than it sounds. Delaware Tech has put together 6 wins, which is great, but I’m tempering that fact with the following one – the teams they have beaten are a combined 3-25 on the year so far. It’s not a knock, but those wins are not coming over the best programs out there. They play Nassau on April 4th, which is a big reach, but that Suffolk game on April 14th looks awfully interesting now. I like where DT is headed and will be watching them for sure. Essex has two tight losses, two blowout losses, and two dominant wins. With Nassau, Harford, Howard, Northern Virginia and Potomac State still to go wins will need to be earned. The last two games are likely wins, but the other three are even more important if Essex wants to show any serious signs of life before the end of this season. Next Next Tier (#11 – #14) Ocean County, Hudson Valley, Herkimer, Tompkins Cortland – Early this year I was high on Ocean County, but things have slipped in a big way lately and with Onondaga and Nassau up next, things do not get any easier for a struggling Vikings squad. Hudson Valley has put together a solid 3-1 campaign so far, showing signs of strength at both ends of the field. Their next four games against Tompkins Cortland, Monroe, Herkimer, and Mercyhurst NE might just be their biggest four games of the season. It’s go time right now for Hudson Valley. Herkimer is sitting at 3-0, and while those wins are over 3 teams that are a combined 0-9, Herkimer has looked more dominant as things have progressed. But that all stops now. Now the battles really begin with Hudson Valley, Monroe, Onondaga, Tompkins Cortland, Genesee, and Mercyhurst NE still to come. I can see Herk going 0-6, or 4-2, but it all starts on March 31st and finishes up on April 22nd. 23 big days! Tompkins Cortland is 2-1, lost to Monroe by 8, but seem capable of making some waves, and putting up some points. With 8 games left I can see TC going 6-2, or 2-6, or anywhere in between. With a good variety of competition, it also allows this team to potentially improve greatly before the middle of April. NEXT Next Next Tier (#15 – #17) – Mercyhurst NE, Union County, Brookdale – At 3-2, Mercyhurst NE is making some noise, and for a program that didn’t win a game last year, they have already made an absolutely huge leap. It’s already a season to be proud of in that sense. In another sense, there is a lot of work left to do. Their three wins are over teams with a combined 0-16 record, and two of the three were pretty close. MNE has 8 games left on the schedule, and they should be shooting to realistically win 3 of them. Win 4 or more, and MNE could continue their climb. Union County is 0-2, but they could turn things around with some big wins. No more games against Top 5 teams opens the doors for wins, but also means Union will be a little untested. Brookdale got a convincing win over Catonsville, but dropped to Delaware Tech 11-3. Their upcoming game with Union should tell us a lot more about both teams, and whether they’ll move up or down in the coming weeks. Everyone Else (#18-24) – Broome, Catonsville, Finger Lakes, Jefferson, Mohawk Valley, Northern Virginia, Potomac State – None of the teams listed above has won a game yet, and while that fact does not automatically put a team in this group, it does mean something. Broome has had 3 pretty competitive games out of 4 losses. Catonsville is really struggling on the scoreboard, but April games with Potomac and N. Virginia could be more interesting. Both Finger Lakes and Mohawk Valley have been defeated roundly in their games, but they play each other this week, which should make a good match. Maybe one of them will get a spark from a win. The next five games for Jefferson will be a tall order, but if they can weather that storm, bond, and improve, they could be well prepared for a run of 4 winnable games to end the year. Northern Virginia is 0-3 and still has some tough games to come, but they could pull 2-3 wins out of it all. Potomac State has been tested early and often and while they are 0-6, this is the part of their season where they could make some noise with a number of potential wins.